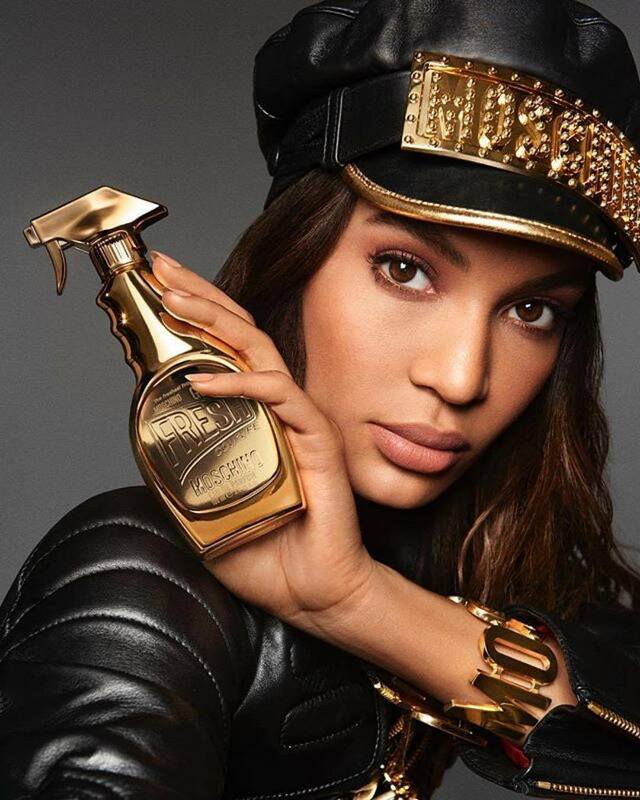 Puerto Rican model Joan Smalls stars in the latest campaign from high-end label Moschino, and poses for its new fragrance offering. Decked in gold, Joan is edgy and chic and models for the Moschino Fresh Gold Couture EDP, which comes in a quirky glass cleaner inspired bottle. 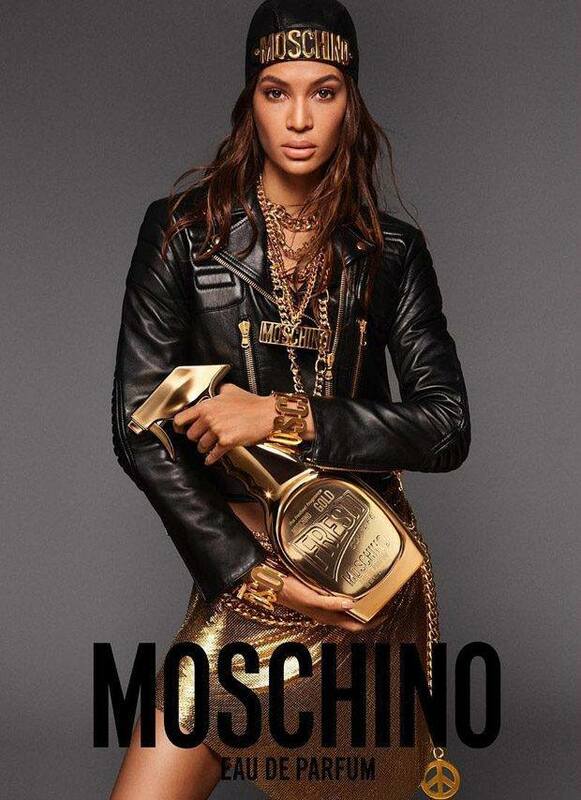 Photographed by Giampaolo Sgura, the campaign has the model dressed in a leather jacket, metallic gold skirt, and layers of gold jewellery. 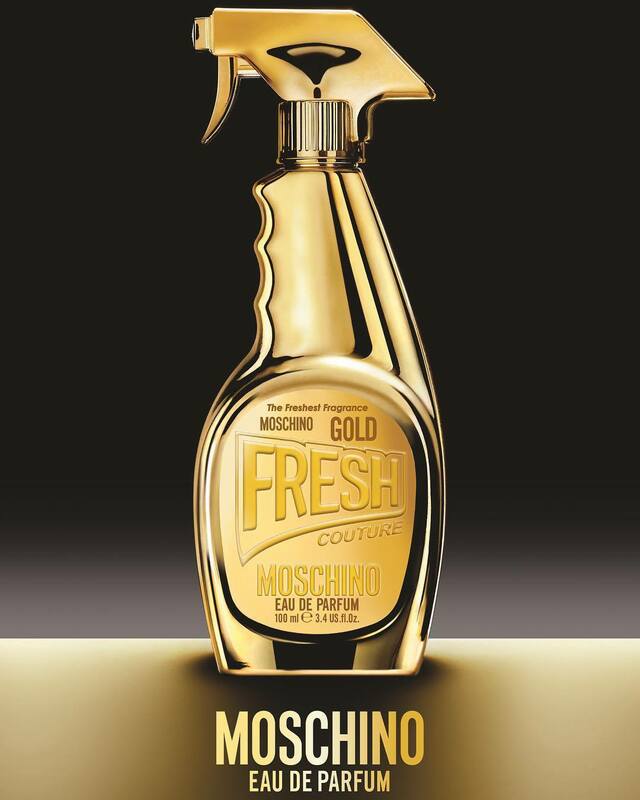 Moschino's 'Fresh Gold Couture' is described as a fruity floral scent with notes of mango, vanilla and pear, and retails for $56-96.